But then you come home in the late afternoon to a garden filled with these beauties about to open and release their scent, and the humidity suddenly makes sense, carrying the scent in through open doors and windows. And for me, after a hot 30+ day, there's nothing better than heading down at night to the beautiful North Sydney Olympic Pool. With Christmas only days away the usual lane-choking-crowds are off at parties, or shopping, or already on the road bound for somewhere else. Then, you have the pool almost to yourself. A lane of one's own. And as you swim into the darkening night, electricity rips over the harbour as a storm decides whether to just tease, or stand and deliver. 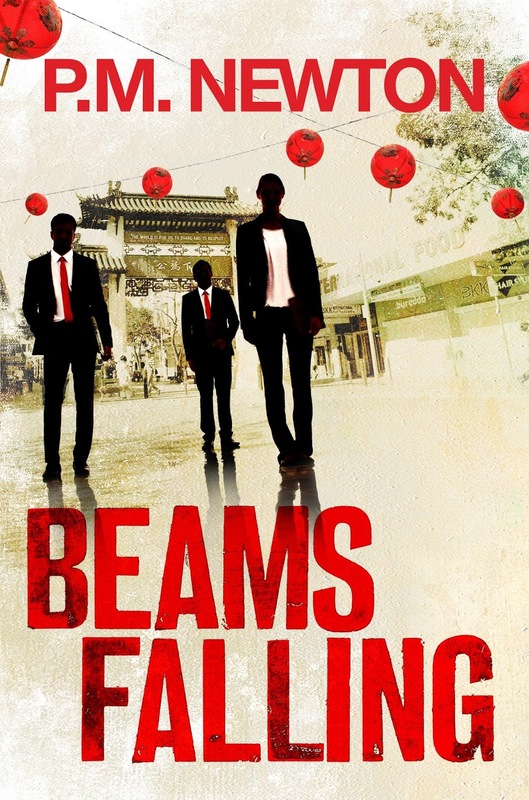 I've set quite a bit of the next book, Beams Falling, around North Sydney Olympic Pool. And now, I find myself looking for Ned and some of the other characters down there as I swim. I'll know I've succeeded in creating a world and creating the people who live in it if - after reading the book - other people feel the same. It's been a busy few weeks. Page proofing with the sharp-eyed and indefatigable Rachel Scully in the Penguin mothership in Melbourne. But the week ended with a proofed book, an approved cover copy and a date with the printer next week. More coming at Penguin so keep an eye on the page there. And if you're wondering about the title - here's a clue. In The Maltese Falcon, Sam Spade tells the story of a man named Flitcraft, and if you haven't read any Dashiell Hammett - you really should.